At an Oracle OpenWorld reception last month, I mentioned to an Oracle executive that it was no longer business as usual at the 41-year-old company famous for its database products. The executive nodded in agreement, not necessarily at whether my observation was any revelation, but rather at how the technology revolution that Oracle helped unleash has taken a turn that even the database giant has no choice but to change its approach. The new approach lies in its willingness to sacrifice margins through heavy discounting to drive sales, while increasing sales and marketing expenses to push new products. The question is how the new model will change the outlook of the vendor, which for decades has been minting money by selling its highly-profitable database products to more than 430,000 customers. As shown in the following table, Oracle’s willingness to shed its past by entering what we call its Build Two phase is a watershed event in the enterprise software industry. Among its major rivals in the Cloud, Oracle’s operating income was bigger than Amazon, IBM, Salesforce and SAP in their latest fiscal years. Only Microsoft and Google reported bigger margins even though they were nearly three times the size of Oracle. Compared with the rich valuation awarded to Amazon(which topped $1 trillion earlier this year before its recent drop), Google and Salesforce because of their robust growth in sales and margins over the past decade, IBM, Oracle and SAP are considered the underperformers. It’s also noteworthy that Microsoft’s operating income actually grew less than Oracle’s during the past decade even though both of their revenues went up 1.8 times, as shown in table 2. Going forward, the question is whether Oracle is willing to trade its lucrative margins for the sake of outgrowing its major Cloud rivals, especially on the top line. In 1977, Oracle was founded by a number of engineers including Larry Ellison with a mission to disrupt the computer industry by commercializing technology breakthroughs like relational database management. Through the decades, Oracle has succeeded in selling its database first to government agencies like the CIA and later to a growing contingent of business customers. Today, Oracle remains steadfast in its desire to grow and sustain its leadership in the database market, while improving its standing in IaaS. During a briefing with industry analysts, Andy Mandelsohn, executive vice president of database, was unequivocal about Oracle’s plan to remain the biggest database vendor in the world. Similarly, Don Johnson, the senior vice president who runs Oracle Cloud Infrastructure(OCI), was equally bullish about the vendor’s ability to wrest shares away from market leader Amazon Web Services. Speaking to investors on the last day of OpenWorld, Larry Ellison, co-founder and CTO of Oracle, was even more blunt about his ambitions to overtake AWS with aggressive pricing – similar to the old days when its steep discounts(90%+ not uncommon) helped it widen its lead over IBM DB2 and Microsoft SQL Server. Ellison provided no details if Oracle would be willing to cut prices of its latest Autonomous Database in order to encourage customer adoptions. The fact that he brought it up suggested that there were precedents and Oracle might consider repeating such moves. As more Oracle customers move their workloads to the Cloud, there will be increased use of Oracle Autonomous Database to store, process and run complex tasks like artificial intelligence and machine learning, which will be tuned to best leverage OCI’s key differentiators for high availability, automated threat detection and predictive analytics in order to achieve reduced risks and low costs. Ellison’s keynote on Oracle Gen 2 Cloud, which is already shipping and will be widely available in a hosted private Cloud setup in 2019, highlights the tight coupling between the Autonomous Database and OCI in order to deliver such critical functions as data warehousing and transaction processing in a more secure Cloud. The private Cloud setup, which is offered under the Oracle [email protected] program, includes free Autonomous Database upgrade – meaning there should be zero additional outlays for its existing customers especially those running the 11g or earlier releases of its database behind their firewalls. Similar to his previous OpenWorld speeches, Ellison made it clear that OCI offered better performance and lower costs than AWS. This year, he said it was 100x faster and 80x cheaper on Oracle Autonomous Transaction Processing than AWS Aurora. The bottom line is that for existing accounts, Oracle promises no additional costs to upgrade to its Autonomous Database and it may consider discounting the product heavily to woo new customers. The catch is that these customers will have to run the Autonomous Database on OCI. 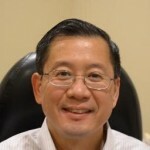 Johnson said OCI will provide the best price/performance for customers by leveraging AMD chips to cut costs. Partnerships with the likes of AMD, Intel, NVIDIA and more – Johnson notes – can significantly cut costs for customers and offer the flexibility of choice when it comes to maximizing their IT dollars as they make the move to the cloud. The math is that Oracle will offer free upgrade to Autonomous Database and it may sacrifice margins in order to win new ones, while reducing compute costs so that it can sell its IaaS services at the lowest cost possible. Meanwhile, Oracle is boosting sales and marketing expenses to promote the Autonomous Database and OCI by expanding the Oracle OpenWorld event series to cover three new cities – Dubai, London and Singapore in 2019. Since the early 2000s, Oracle has held OpenWorld, its annual marquee event, only in San Francisco. Expanding OpenWorld beyond San Francisco underscores an all-out effort to ratchet up the messaging of its Autonomous Database offerings to the next level. A glance at the OpenWorld agendas in 2019 shows a heavy emphasis on developers, something that Oracle has been ramping up for years to match the successes of AWS and Salesforce in wooing ISVs and startups. Similar to its move to expand the Oracle Digital operations by hiring thousands of new inside salespeople in cities such as Austin, Texas; Malaga, Spain; and Singapore to sell Cloud products worldwide, the decision to run multiple OpenWorld events is a defining moment as much as the recent departure of Oracle president Thomas Kurian. For more than a decade, Kurian was a fixture at OpenWorld, giving keynotes first on Fusion Middleware and eventually expanding his topics to include Oracle’s applications and Cloud strategy as his responsibilities grew. A 22-year company veteran, Kurian oversaw Oracle’s product strategy since becoming president in 2015 and he left shortly before this year’s OpenWorld because of a combination of family and business reasons, according to sources. In November, Google announced that Kurian would become the new head of Google Cloud in 2019, replacing Diane Greene, the co-founder of VMWare who has been the CEO of Google Cloud since December 2015. Kurian was well liked by colleagues and industry analysts who praised him for his clear, concise and meticulous explanations on Oracle’s ability to stay relevant and highly differentiated amidst massive technological changes. While the vision and influence of Ellison at Oracle has never been in doubt even after he relinquished his CEO title in 2014, Kurian’s contributions to the vendor’s product development and strategy in the Cloud and its bread and butter database, middleware and apps products were unique and profound, winning the respects of the rank and file. For example, Kurian’s stewardship was specifically called out by the late Reggie Bradford, senior vice president of Oracle in charge of the vendor’s Startup Ecosystem and Accelerator, in his July 2017 blogpost when Bradford revealed his battle with pancreatic cancer. Bradford passed away 15 months later at the age of 51. Insiders now said Ellison is having product leaders reporting directly to him, suggesting Oracle is in no hurry to fill Kurian’s position. During his talks with investors, Ellison was as feisty as ever, branding Google as nothing but “thieves” for infringing on the copyrights of Java API in its development of the Android operating system and turning that into what’s now a multi-billion-dollar business. Since 2010, Oracle and Google have been locked in a long-running lawsuit over the scope of Java copyrights. For much of its 41-year history, Oracle thrived by turning its database into a cash cow with Ellison firmly in charge of its Build One phase. Soon Ellison kicked the Build One phase into overdrive by scaling out in the applications and middleware markets with the acquisitions of BEA, Hyperion, PeopleSoft, and Siebel in the 2000s. The beginning of the 21st century also coincided with the rise of Cloud startups including Salesforce and NetSuite, both of which received early funding from Ellison. With Salesforce and NetSuite capturing the headlines for their Cloud successes, Oracle hunkered down and spent the next decade rewriting its Fusion applications that combined the best attributes of its acquired assets, while ensuring customers that they would be able to easily upgrade to these Cloud applications from their existing on-premise systems. During his briefing with industry analysts, CEO Mark Hurd conceded that it probably had taken Oracle longer than expected to build and perfect Fusion applications. But Hurd sounded as ebullient as a startup, reiterating his beliefs that Oracle would win in the Cloud by 2025, a prediction that he first made in 2015. 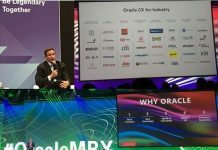 The reason is that Oracle now makes it easy and affordable for its existing customers and new ones to adopt its Cloud solutions, echoing the customer success theme that took up much of his keynote. There were no shortages of these customer success stories at this year’s OpenWorld with companies like 7-Eleven, HID Global, Western Digital all adopting Oracle Cloud applications after years of running a hodgepodge of Oracle’s on-premise systems. These companies were underutilizing these on-premise systems because they were hard to use. After moving to the Cloud, utilization of the new software from Oracle soared because of their ease of use, according to customers such as Arconic and Mount Sinai Health Systems speaking about their experiences at OpenWorld. Bill Roy, senior director of Enterprise Performance Management at storage manufacturer Western Digital, said instead of asking users to download files from disparate systems, the use of Oracle Analytics Cloud has helped its employees become more productive because the reporting and the insights are readily available at their fingertips. In addition, Western Digital now turns to Oracle Analytics Cloud as a consolidated financial master dataset, compared with the silos that impeded its visibility following its recent acquisitions of Sandisk, Tegile Systems and Upthere. Other customers said managing data from new sources will become a more pressing issue. Cummins CIO Sherry Aaholm said the challenge lies not in overhauling its fossil-fuel engine business, but rather the ecosystem shifts and the data requirements brought upon by an onslaught of future vehicles that run on alternative fuel. Cummins and other long-time Oracle accounts are moving to the Cloud gradually, but they are still underrepresented among the vendor’s installed base of tens of thousands of on-premise applications customers. Currently, Oracle has signed over 6,000 Cloud applications customers, not including 15,000 more from its 2016 acquisition of NetSuite. Even though Oracle’s Cloud strategy is resonating among its customers, Hurd lamented that its breakneck growth in Iaas, PaaS and SaaS has not been given enough credit and its onpremise business – made up of nearly $20 billion worth of maintenance revenues, or about half of its total sales – continues to overshadow the rest. It certainly did not help when Oracle in June 2018 reclassified its Cloud revenues back into the license and support buckets, after splitting them out for a number of years. Oracle defended the decision because of the continuous expansion of Cloud conversion programs like Bring Your Own License plan that basically treats license, subscription services and the associated revenues as units of consumption of Oracle IP regardless of how it’s being delivered. It is common for big vendors to constantly adjust the classification of their revenues in order to shine lights on areas that favor them. However, a more interesting development emerged after Oracle’s reclassification now that expense lines for three items – license, on-premise support and Cloud services – have been rolled into one. In other words, the hefty margins(up to 95% prior to the reclassification) for the first two items could be used to offset Oracle’s increased investments in the last. The implication is that Oracle can now do plenty without breaking a sweat in order to keep funding its Cloud services and driving their top line growth. Similar to its plans to invest more in sales and marketing, Oracle is gearing up for a bruising battle as it enters the Build Two phase in order to gain shares in database, IaaS and applications markets. Despite the threat of eroding margins, Oracle has a few things that work in its favor. While Amazon has been adding a slew of options from Redshift database to SageMaker for machine learning to enrich Amazon Web Services and Microsoft is doing everything possible to sustain its Office franchise(now part of the Dynamics 365 family) with Azure, Oracle has a more diversified product portfolio for enterprise customers. With more than one million customers on AWS, Amazon probably has more enterprises hosting their web properties with AWS than anywhere else, but the amount of Oracle database workload in the enterprise space cannot be underestimated. While Microsoft has more users running different Office apps in the world, Oracle is more entrenched with its horizontal ERP, HCM and SCM applications for finance, HR and supply chain. Then there are the vertical industry applications that Oracle has been amassing over the past decade after picking up tens of thousands of customers in financial services, healthcare, retail and utility. In its latest quarter, the Oracle Financial Services global business unit signed $19 million worth of license deals with customers in 26 countries for Core Banking and Analytical applications. The OFS GBU posted more than $620 million in revenues in fiscal 2018, up 2%. Over the past decade, the OFS GBU’s revenues have doubled while tripling its net income. Oracle has many of these vertical industries to fall back on even as it invests heavily in Cloud services for horizontal accounts, an advantage that neither Amazon and Microsoft can exercise. Oracle stands a good chance of keeping and expanding its wallet share among these horizontal and vertical customers now that it’s eager to become not just aggressive in pricing, but also investing heavily to make sure the products are secure and easy to use whether customers want to run them in the Cloud or in a hosted environment. Many of these customers in industries like banking will not migrate to the Cloud easily because of security concerns, but they will always be able to count on Oracle for continuous support and that’s where Oracle can hedge its Cloud bet. If Oracle’s Build Two phase pans out, it could double its database revenues. Our estimate shows that Oracle’s current annual database revenues of about $15 billion – mostly onpremise – are anywhere between 15 and 20 times the size of its IaaS business. A fairly optimistic scenario is that its database business could double to $30 billion over the next 10 years given the combined effects of its Bring Your Own License program to accelerate Cloud migration and heavy discounting of Autonomous Database to spur adoptions, while its IaaS business could soar 10-fold to $7.5 billion, resulting in a $38 billion juggernaut without accounting for its PaaS, SaaS and vertical apps businesses. AWS, Google and Salesforce in their own Build One phase succeeded in winning the support of startups and developers eager to ride the coattails of their Cloud dominance, Oracle is now trying to do the same with grit and determination in Build Two. During his OpenWorld fireside chat with founders of 22 startups that are now part of the Oracle Global Startup Ecosystem, Ellison recalled the humble beginning of Oracle when it almost ran out of cash to meet payroll, according to an op-ed piece in eWeek. The Oracle Global StartUp program now has dozens of startups at different stages of launching their operations including some sharing workspace with Oracle in such cities as Austin, Texas and Sao Paulo, Brazil. Though Oracle does not invest in these startups directly, recent participants such as Agamon Health, BotSupply and Gapsquare are leveraging the full Oracle stack to do platform development for Natural Language Processing and hyperscale data crunching to identify gender pay gap and analyze unstructured data in healthcare with purpose-built machine learning algorithm. Which brings me back to Reggie Bradford, the executive who founded the Oracle Startup program in 2016 and died in his home in London on October 22 just as this year’s OpenWorld got underway. Bradford, who founded Vitrue for social relationship management in 2006 and sold it to Oracle in 2012, and I met twice at Oracle events over the past year when he was already undergoing treatment. However, his determination to launch the Global Startup program and shepherd the young entrepreneurs through the maze of Oracle’s ecosystem was nothing short of remarkable. Despite his health conditions, Bradford continued to travel to promote the global program and he was tireless. Safra Catz, CEO of Oracle, promises that its Gen 2 Cloud would be a game changer because of its intrinsic value to new and existing customers. It’s also conceivable that Oracle’s Build Two dynamics may not be too different from those in its Build One days when it was growing as fast as any startup today with the commitment and devotion to changing the software industry. Oracle is not a startup anymore. As the saying goes one can take fish out of the water, but one can’t take water out of the fish. We may soon witness the rebirth of Oracle as it enters its Build Two phase by not deviating from its original mission.